The term integrated marketing may not sound too familiar. But you may have had ample exposure to this popular and accepted marketing approach. Integrated marketing involves merging all aspects of marketing communication such as advertising, sales promotion, public relations, direct marketing and social media to endorse any brands or products. This process provides the sheer convenience of introducing your brands through many channels of communication to increase the familiarity of brands or products among the target audience through consistent campaigns across all media. Businesses need not waste their time and resources identifying new marketing channels to endorse their brands instead settle on the effective integrated marketing approach and impress their brand. Considering integrated marketing campaigns for your business ventures? 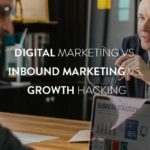 I too get perplexed in the early stages of my businesses on how integrated marketing would contribute to my businesses. But in the course of time, I realized the value of integrated marketing. This best marketing approach involves integrating tools such as advertising, email campaigns, social media, telemarketing and sales promotions. There are many compelling reasons for implementing integrated marketing. 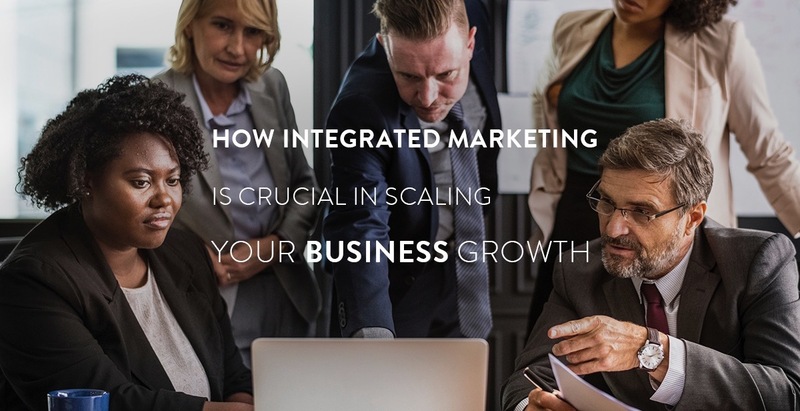 Consider these reasons and understand why integrated marketing is important for your businesses. Remember, your target audience is not waiting to be informed. They usually do not hear for the first time. So, even the loudest form of advertisements is not driving home the point. You need the support of powerful integrated marketing strategies while you launch a product or promote products and services. Integrated marketing uses several mediums to spread the message. This multiplies the chance to highlight your brand and increases buyer conversions. Social media functions as an effective platform to launch products, promote them and also to get an insight on the target market. You can generate some posts, assess the feedback and identify your target market using Google Analytics. Understand your target audience and narrow down the potential buyers. When Are You Planning A Marketing Campaign? 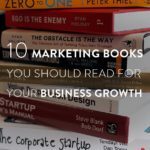 Most of the businesses do not have an effective marketing campaign. So, if you haven’t yet planned an adept marketing campaign, do not wait any further. Your competitors must be having a good edge over you. And you need to get yourself some niche with a dynamic marketing solution such as integrated marketing. Integrated marketing works for businesses of all sizes- small, medium or large. So whatever be the size of your business, put in place integrated marketing and boost your growth. READ Not getting enough likes & shares on your social media posts? Integrated marketing is much more effective than planning separate campaigns for advertising, press relations, direct marketing and sales promotions. Using the same communications, apply it with a different integrated approach to gain the desired results. Firstly, advertising campaigns are introduced to create awareness on the products. Same information on the products is communicated through press releases and features to reinforce the message in the advertisements. Through press releases the buyers can get complete and correct information on products. Then emails are used to answer the queries of the customers based on the ads and press campaigns. Telemarketing is used to sell directly latest products. While using the same photographs and adapting the same copy for different media, slash down copy-writing, design and photography costs. So, turn smart and choose a single integrated communication services for all your integrated marketing campaigns. I found out the cost-effective campaigns in integrated marketing after a while. I was eager to introduce integrated marketing for launching all my products for the high results it offered me. Then I found out that there are single integrated communication services that are cost-effective. , I switched over to these campaigns and maintained my budget without extra costs. This also spared my funds that could be used for introducing other integrated marketing campaigns and promotes my latest products. Creative messages can reach the audience through all the various media in integrated marketing campaigns. The repeated and consistent creative information conveys and impress the message on the products in the minds of the customers. The consistency of message delivered to influence the potential customers turns the campaigns effective. These campaigns drive home the highlights of the products or services offered by your business. Consistency of campaigns is one of the most effective and important attribute of integrated marketing. Through customer feedback, I realized that it was the consistency of campaigns feature that introduced my product among a large fraction of customers and instilled my brand in them. Influence the customers with integrated marketing propagated through different media channels. Customers can get information on the products and services offered by your business through the media channels of their choice such as emails, text message, social media and other digital media. I have been considering customer preference and applying integrated marketing for my businesses. The results were overwhelming…. I introduced feedback system and analyzed my clientele. Most of the customers got introduced to my brand from their favorite media. READ What is Meme Marketing? How is it Relevant in the Current Market Scenario? There is no parallel to the integrated marketing strategy. Introducing the integrated marketing campaigns can boost the growth of your new or existing businesses. It provides a better overview of how your customers interact with your brand and settle for a purchasing decision. So you can win them over with smart and intriguing marketing campaigns. Have a look at the 3 ways how integrated marketing and sales strategies boost growth. You have initiated integrated marketing campaigns and the competitors in your domain haven’t even heard about it. What to expect? You have instilled your brand in the minds of the largest fraction of potential buyers with your most effective integrated marketing campaigns. Survive competition with integrated marketing implementation, your products and services are sure to be noticed well before your competitors’ offerings in the same domain. Buyers vouch for novelty. So, ensure that your integrated marketing campaigns introduce novelty in concept than the old and outdated concepts used by the existing, older business promoters. Fresh campaigns and latest products with innovative features can boost the growth of your new or existing businesses. Many of the common marketing campaigns used for promotions are monotonous and outdated. So, watch out for good chances…introduce fresh campaigns for promoting the products and services of your business. Integrated marketing is inevitable if you consider boosting the sales and growth of your businesses. It is an adept solution that can improve your business prospects and instil your brand in the minds of the largest fraction of buyers. So, take a smart decision before your competitor introduces the brilliant marketing strategy.